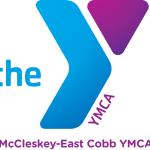 Becky Shipley, Group Vice President at the Metro Atlanta YMCA, was recently honored with the Cobb2020 Partner of the Year Award for 2018. The award was announced on December 13 on the campus of Kennesaw State University (KSU), in Marietta. The Cobb2020 Partner of the Year Award not only highlights a Steering Committee Member who had a significant impact on Cobb2020 – A Partnership for a Healthier Cobb County Coalition, during 2018, but it also recognizes the work an individual has done related to the Cobb & Douglas Community Health Improvement Plan. “Becky’s long-term commitment and significant contributions to the Cobb2020 Coalition make her undeniably deserving of this special Partner of the Year award,” said Lisa Crossman, Vice-Chair of Cobb2020 and Deputy Director of Cobb & Douglas Public Health. Shipley has been a valued Steering Committee member since 2013 and has been leading the coalition as the Cobb2020 Chair since 2015. In addition to her role as Cobb2020 Chair, Shipley played a vital role with several initiatives for promoting healthy lifestyles in Cobb County, including the Farm Fresh Market, Sharing Spaces for Health, and the School Wellness Councils.